CIRiS (Compact Infrared Radiometer in Space) is a technology demonstration mission of an imaging radiometer instrument for the 7 to 13 um infrared wavelength range by Utah State University, Logan, Utah. It will raise the technology readiness level of the new uncooled detector and carbon nanotube source from level 5 to 6, enabling future reduced cost missions to study the hydrologic cycle, characterization of ocean/atmosphere interactions vegetation and land use management. 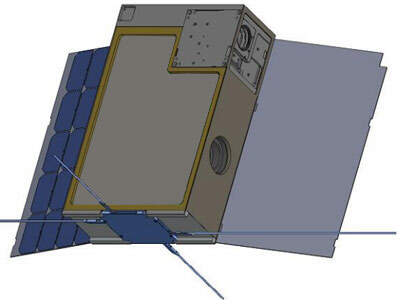 For the mission, Ball Aerospace will adapt an existing instrument, the BESST (Ball Experimental Sea Surface Temperature) airborne LWIR three channel radiometer, to be CubeSat compatible to validate instrument performance in low-Earth orbit. The CIRiS mission will also validate data processing algorithms as well as on-orbit instrument calibration – important for enabling new instruments that could be used in a variety of missions, including future Landsats. Multiple CIRiS satellites flying in formation could replace larger or more complex instruments and satellites. The data collected could be used for land and water resource management, research, and modeling. It was selected in 2016 by NASA's CubeSat Launch Initiative (CSLI) program to be launched as part of the ELaNa program.